Where's Dory? 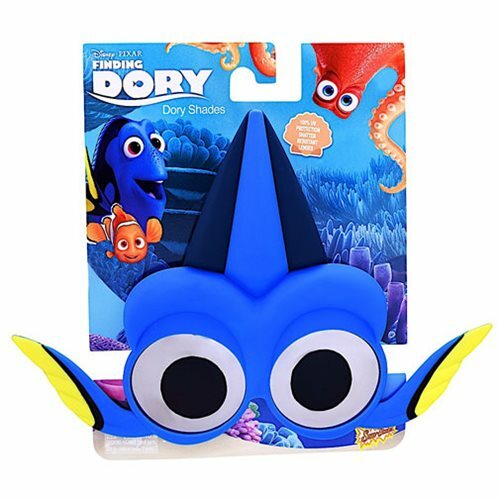 She's on your face with these Finding Dory Dory Sun-Staches! Perfect for fans of Disney Pixar's Finding Dory and Finding Nemo films. These awesome Dory Shades feature 100% UV protection and shatter-resistant lenses. Measures approximately 10-inches wide by 7-inches tall. Ages 13 and up.